1,284 pages | 3608 Color Illus. Offering a different, more engaging approach to teaching and learning, Organic Chemistry: A Mechanistic Approach classifies organic chemistry according to mechanism rather than by functional group. The book elicits an understanding of the material, by means of problem solving, instead of purely requiring memorization. The text enables a deep understanding of underlying principles that can be applied to a wide range of problems and systems. It also teaches a way of thinking and analysis that will serve students well across many academic disciplines. Covering all the key aspects of organic chemistry, this text emphasizes the development of skills through a student-centered approach. In order to provide a contemporary feel to the subject, the author has included some of the more modern synthetic approaches. In addition, later chapters address the biological, environmental, industrial, and forensic aspects of organic chemistry. "The introduction to each chapter sets its content in the context of the previous chapters. The material is then divided into readable, logical sections interspersed with illustrative problems and their solutions together with summaries of the key points. She writes in a student-friendly style identifying and addressing clearly many of the problems with which students have difficulty. 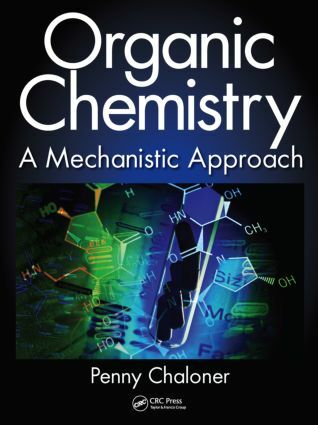 …highly recommended as a reasonably priced textbook particularly to those students who want to understand the mechanistic rationale which underpins modern organic chemistry." Plastics: Recycle, Degrade, or Burn? Is "Green Chemistry" the Future?